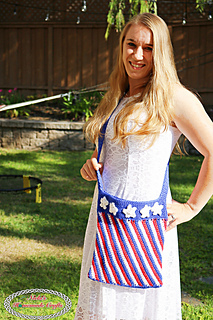 This Stars and Strips Bag is very easy to make and provides the availability to use many different color combinations as well as different sizes. Be sure to check it out. It is perfect for any season. Even Christmas, Valentine’s Day or for Flags. The bag itself is 10.5 (flat in width) x 11.5 (height) inches.